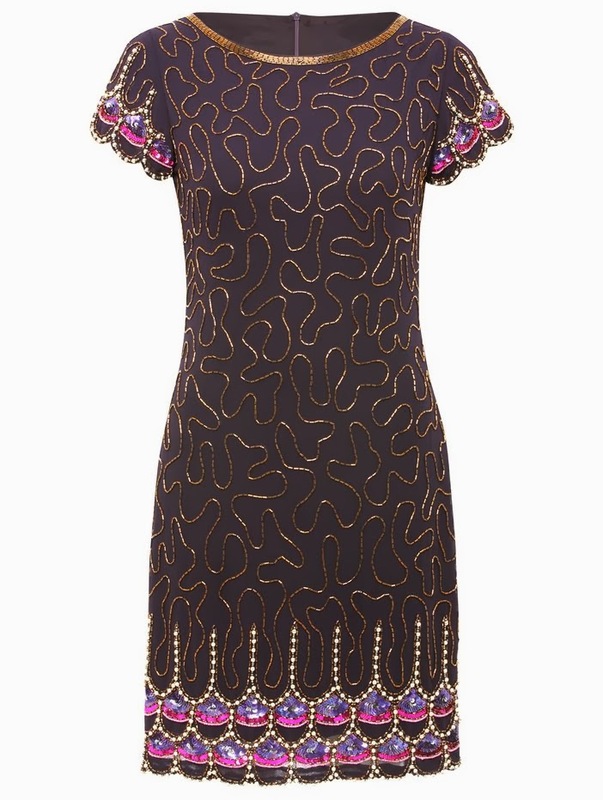 The dress chosen to style from the collection, was a 1920's style embroidered shift dress. If you watched the film 'The Great Gatsby' this summer, you'll understand why the 1920's have been so influential in fashion over the past few months. If you didn't (though I strongly recommend it as a Saturday night in treat) then let me explain how I was inspired myself, by the beautiful 20's, in selecting an outfit from the M&Co collection. First off the 20's were all about the dancing, and being a passionate dancer myself, this dress looked both practical (for dancing) but stunning with all it's embroidery too! 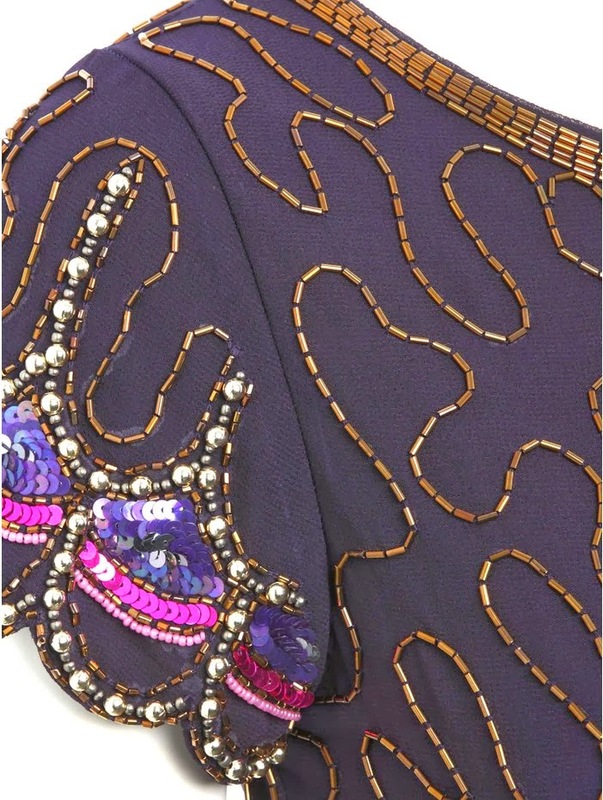 If there's one thing accepted only at Christmas - it's dancing with two left feet - and I felt this dress would really let you go wild with the Charleston...The 20's were also about the contrast of dark and light, so this dress fit perfectly with its deep purples and gold sequins. I've styled this dress with an M&Co silver lined, black clutch, which is perfect for carrying along the essentials. I also chose a black fir coat - also from M&Co - for keeping warm on winter evenings. Fur coat's were also a popular choice during the 1920's, so I felt it was very fitting with my initial inspiration for the outfit! Finally I chose a pair of Aldo Stiletto Court Heels, from House of Fraser, as they added the feminine touch to the outfit and a lovely long necklace from M&Co's jewellery collection! That's all for today's rambles! I hope I've given you some inspiration for your own Christmas Outfits... Let me know what you think! Love the pointed toe heels from the collection! OMG!! I love that dress!!! Loving this dress and the styling you did is perfect ! 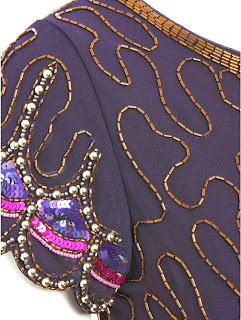 Love the embelish details on the dress. We really like this dress, it´s so special!!! That dress look pretty! The details look really exquisite. I never shop in M&S but that dress is stunning! 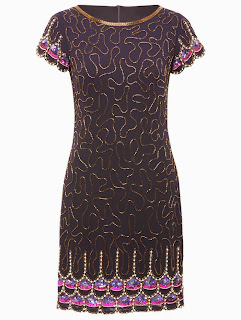 What a stunning dress - the delicate beading is so lovely and elegant, it would be perfect for a holiday party!